Raising Cain is one the nation’s leading “all-styles” live bands. 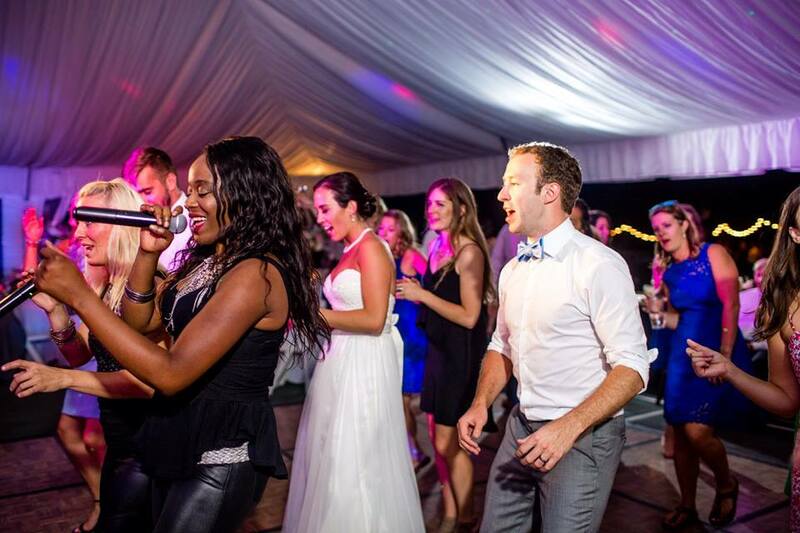 As a live band, we focus on variety, because people seeking corporate entertainment and/or wedding bands want all their guests to enjoy the music, and get up and dance! Most large groups of people have widely varying music tastes. So make sure there’s something for everybody, by hiring a great variety band! All-around music is also generally your best corporate entertainment option, for the same reasons. (we think you’ll really enjoy them)! This is a super fun, quick video montage featuring bits of live performances – a mash up of five different live music performances! In just under 3 minutes, this video demo gives you a very good idea of what a live performance by Raising Cain is like! In addition to being a high energy wedding band and corporate event band, Raising Cain also spends time in the recording studio! A really fun Jason Mraz song, with a hint of Caribbean Island beat. A fun excursion into funk, on this Joss Stone tune. Features female vocals. This country/rock duo was originally done by Jon Bon Jovi and Jennifer Nettles. Enjoy our cover of it! Put on that ol’ chartreuse zoot suit! It’s time to swing, on our cover of a great CP Daddies tune. 1. Piano soloist playing jazz standards, Sinatra type tunes. 2. Guitar soloist playing acoustic folk/blues type material. 1. String ensemble playing Bach’s Minuet in G.